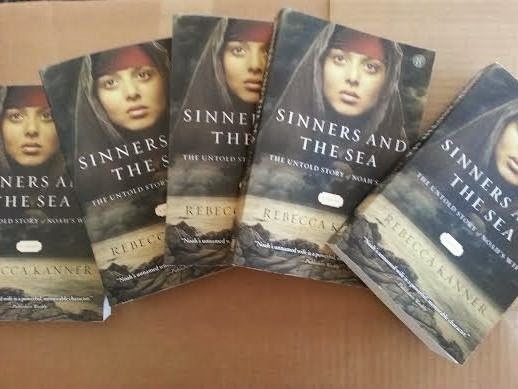 I was rambling around on FB when I happened to find a conversation from the author Rebecca Kanner about how her novel Sinners and The Sea, which focuses on Noah's wife, was the target of some censorship. A Christian reader was so incensed by the book that she had her local Christian bookstore pull it from the shelves. There was a heated and lively dialogue going on about this on Facebook, and I decided to invite Rebecca here to talk about it. Thank you, Rebecca! 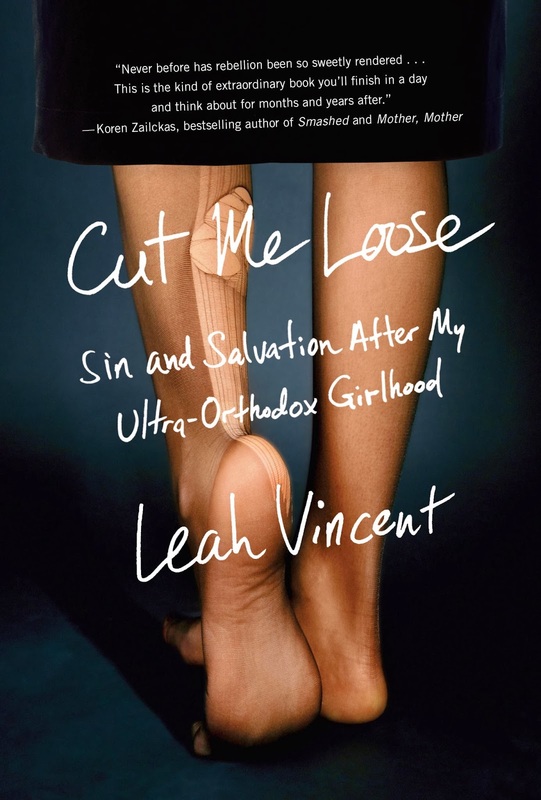 So when you wrote your novel, did you anticipate any of this backlash with Christian readers? In Sinners and the Sea I presented one explanation for why Noah’s wife wasn’t named in the bible. I didn’t think everyone would agree with this midrashic explanation, but I didn’t foresee the violent reactions that I’ve gotten from certain Christians. There seems to be a sense of ownership of the bible, even the Old Testament, among fundamentalist Christians. I don’t understand the urge to burn or ban a book, but clearly some people are threatened merely by my novel’s existence, and they want to make sure other people aren’t exposed to it. I imagine sometimes this is out of concern for the other people who they think might be harmed by the book, and sometimes they’re just trying to punish me. I feel that discussing a biblical text, and even arguing with it, is the greatest way to honor it. Tell us about your novel and what thou intended this story to do. It's been called incredibly cinematic, moving, and you've brought Noah's wife to life on the page. Which brings us to the question: why must a book be written with a Christian sensibility? Isn't the job of fiction to enlarge our world? 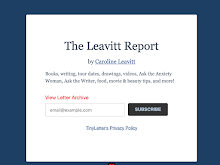 Would only holocaust survivors be allowed to write about the holocaust? Several years ago I realized I didn’t remember anything about Noah’s wife. I found this odd because bible study was such a large part of my early education. I went back to Genesis and discovered that she wasn’t named. She was just mentioned in passing five times as “Noah’s wife.” When I saw this, I understood why I couldn’t remember her. Because she didn’t have a name it would have been hard for us to talk about her. It also made it more difficult for me to think about her. I was hoping that by naming her I would bring her into my consciousness and also give us a way to talk about her. Identity naturally became a theme in the novel. I dismissed the possibility that I found least interesting—that Noah’s wife had a name but she was so unimportant it wasn’t mentioned. When my novel begins she actually doesn’t have a name. She is only able to be identified by her relationships to other people—wife, mother. 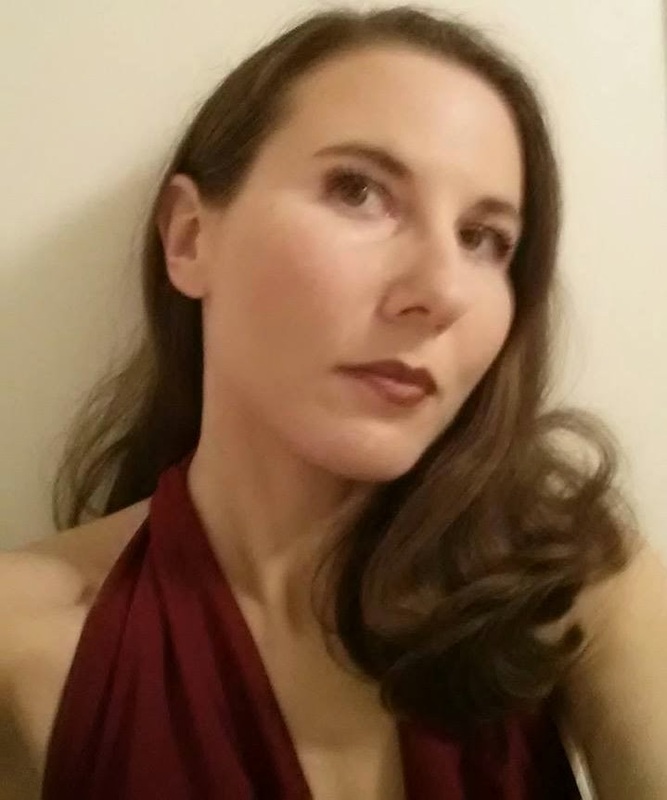 There is a point in the novel where she asks Noah for a name, and he tells her he’s already given her one, “wife.” Later, when they are on the ark and she considers the possibility that Noah and her sons might die, she wonders, if they die, who will I be? I came to this question and the other questions I raise in the novel with a Jewish sensibility, one of enquiry and exploration. The narrator wrestles with questions of whether G-d is watching over her or not, and whether this G-d is benevolent or wrathful. Some Christian fundamentalists are upset by these questions. How are you handling this maelstrom? There's a huge discussion about this going on at FB right now, and I see the strong support you have, but do you think there is ever a way of dealing with this? I allow myself to get worked up or be in a funk for a designated period of time, (usually the amount of time it takes to ingest a couple of bowls of ice cream), then I try to do something productive. I want to engage in discussion with people of differing viewpoints, but I also have to weigh that desire against what I might be exposed to if I open myself up to further hostility. Right now I’m contemplating a response to a woman who burned my book and wrote to me that she had it removed from her bookstore because it “comes straight from the pit of hell.” It’s hard for me to pass up the opportunity to try to reach someone, and I’m curious about what this woman might say if I send her a kind email thanking her for reading my book and explaining myself. But there’s also the very real possibility that she is unreachable and will continue to harass me if she knows I’m reading her emails. My sense is that the fundamentalist Christians who don’t like my book are angry because I tried to engage readers in a discussion about faith in my novel, and these fundamentalists are going to be just as resistant to a discussion with me via email or message board. The support of readers and friends has been invaluable. They remind me to keep jumping for joy that I have a book in the world, regardless of how angry some people are that I wrote it. 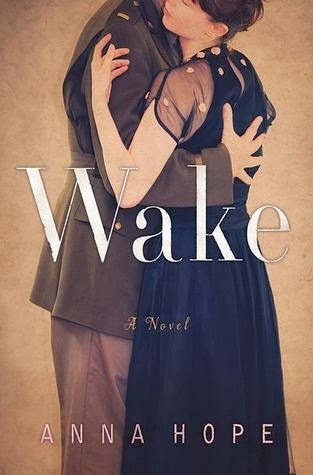 Anna Hope's astonishing debut, Wake, takes place over just five days, where three distinct women grapple with the ramifications of World War I, and how it impacts both them and the men they love. I'm thrilled to have Anna here. Thank you so much, Anna. 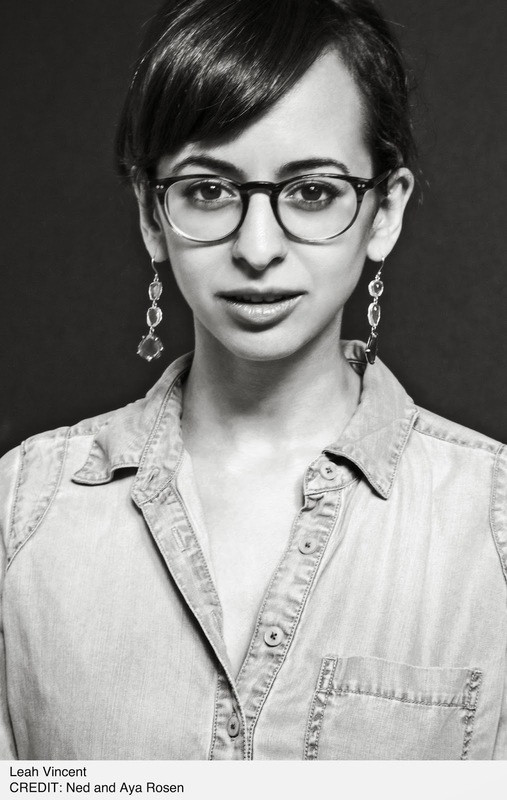 So, Wake is your debut, and what an astonishing entry into the publishing world it is. Can you talk about your road to publication? Ah, thanks so much! My road to publication was not all smooth by any means. I wrote the first draft fairly quickly, in about six months, but then redrafted many, many times before the book was ready to go out to publishers. It was a real struggle to balance all of the different elements of the book. Once it was sent out however, the process was swift, and exciting; in the UK seven publishers entered an auction for the rights and the rights were pre-empted by Random House in the US. I’m so glad that London emerges as a character in the book for you; it certainly did for me as I was writing. I was fascinated by what I read about London in 1920 – this empire brought to its knees and crippled by grief. Returning soldiers (the lucky ones) coming home to mass unemployment and severe economic depression. Ex-servicemen homeless and begging on street corners, or selling cheap goods door to door like my character Rowan Hind. And then the tension between the sexes too – the women who had entered the workplace in their millions to take over men’s jobs, only to be pushed back into the home when the war was finished. It seemed such a turbulent, fertile period to focus on. I read for a year before starting to write, and then I read continually for the two years it took me to finish the book. I became a total geek in the process! It was very difficult to know when to stop, partly because I loved the process so much. I often wished I’d studied history at University and this gave me the chance to indulge my passion for the past. You've brought to life three astonishing women: Hettie, Ada and Evelyn, all desperate for some sort of closure. Did you always know that you would be writing about multiple characters? What was your process writing Wake? Did you outline, or did the book grow organically? Do you have rituals? Was there ever a moment when you thought that you were stuck in the mire and you couldn't get out? And what surprised you about the writing? I knew from the start that I wanted the book to take place over the five days from exhumation to burial of the body of the Unknown Warrior in Westminster Abbey in London, but beyond that I didn’t plan at all! Sometimes I wished I had - I wrote organically, and it was a real struggle to balance each characters backstory with the events of those five days; to make enough happen to build a compelling narrative, without things seeming gratuitous. I got stuck very many times. The redrafting process went on and on. Many long dark nights of the soul! (But then, I can’t imagine what writer doesn’t have these – a novel is such a complex undertaking, just when you think you have got one element sorted, another problem pops up and you have to attend to that.) I have no real rituals when I write, other than writing first thing, before any of the demands of the day interfere. That’s when I get the best of my writing done. If I answer emails or check my Twitter feed first thing then my concentration is fractured before I’ve even begun. Critics have praised your astonishing ability to get at the emotional landscape of your characters. Can you talk about how you do this alchemy? That’s extremely lovely to hear. I’ve been an actor for the past twelve years and I suppose my acting background helps with this. In acting training we are taught techniques to immerse ourselves into the physical, imaginative and emotional landscape of our characters. If I’m stuck in my writing then I’ll often return to these – starting with the senses – what can this person see, hear, smell, taste and see? How do they process this information? What is their pace? Is it fast or slow? These sorts of questions are just as helpful to a writer as they are to an actor, they can really help to create rounded, multidimensional characters. At the moment I’m thinking a lot about the heatwave of 1911 . I’m writing a novel set in an asylum in 1911 during a summer in which the temperature didn’t drop below 90 for the best part of four months. We are having some extreme weather here in the UK – lots of storms and floods – and I just got back from Canada and NYC where there is extreme weather too. So I’d say I’m obsessed by extreme weather, and what it does to us, inside and out. Good question! I suppose I’m interested in the book’s reception in the US. In the UK and in Canada there’s such a strong relationship to WW1 – in the UK we keep returning to it over and over again. It’s like a scab that we can’t let heal. I think it marks the point at which an empire had to come to realize it was no longer the most potent force on the world stage, and that it had sent close to a million of its young men to their deaths trying to prove that it was. I don’t think Britain can quite forgive itself for that. In the US the cultural narrative of WW1 is very different of course. It will be really interesting to hear US readers’ reactions to the book. What happens when the person you love the most changes because of a brain injury? 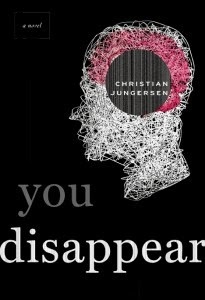 You Disappear by Christian Jungersen explores just that. Fascinating, and gorgeously written, it's a provocative novel about neurology, compassion, responsibility and so much more. It's truly one of those novels that makes you see and feel the world differently. 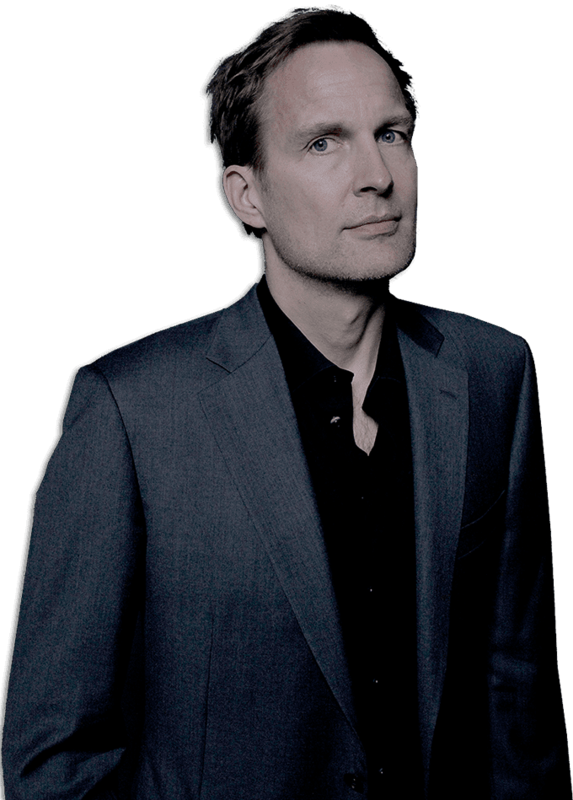 Jungersen is also the author of Undergrowth, which won the Best First Novel award in Denmark, and The Exception, which was on the Danish bestseller list for 18 months, won two Danish awards and was shortlisted for major prizes in the United Kingdom, France and Sweden. 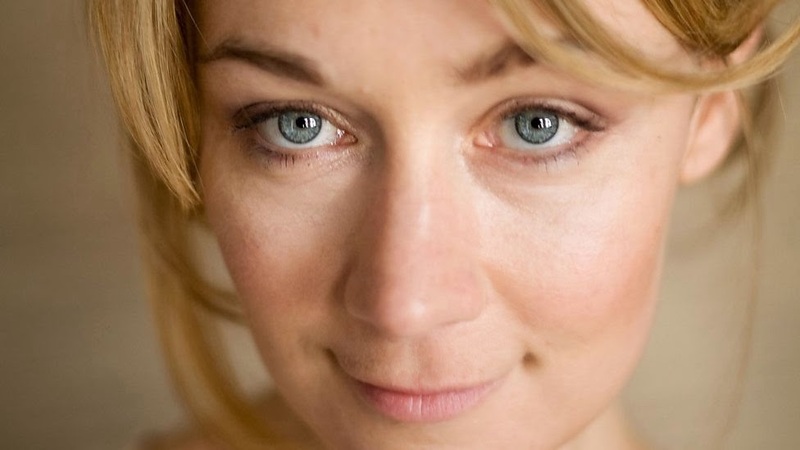 You Disappear, already a bestseller, recently won the 2012 Laesernes Bogpris, a literary prize decided by thousands of Danish library users. I'm honored to host Christian here. Thank you so very much, Christian. You Disappear explores how a brain injury can transform a person you thought you knew into a stranger. How did you research this? What surprised you in the research? I got the idea for the book because I have an old school friend who’s now a psychiatrist. 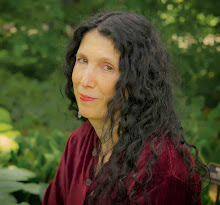 Whenever we would meet, I would hear stories from her work, and it struck me that her way of looking at people was very different from what I’m used to seeing in fiction. The kind of knowledge she has simply doesn’t inform fictional descriptions of people. Besides of course writing a page-turner readers would find relevant and thought provoking, I wanted to write a novel that tried to modernize the way we conceive of people in literature. As part of my research, I got to know a variety of brain-damaged people and their families. I worked on this novel for almost five years, and several of these family members became my friends. I’ve grown quite close to some of them, and they’ve shared private details about living with someone who suffers from brain damage, details that I don’t think they’ve even shared with their best friends. In the course of five years, this neurological world became my world. I traveled around hospitals and visited one expert after the other. The novel also features a support group for family members of people with brain damage. I got to know one such group, and I learned what an important role it can play in the lives of affected spouses in particular. I also want to hear about the sense Mia has that many people, and not just those who are noticeably brain damaged, are not who we think they are. Can you talk about this, please? The novel revolves around Frederik, who undergoes radical changes because of a brain tumor. But the book’s actually more about his wife, Mia, who changes a great deal too. She’s changed by the difficult challenges that someone always encounters when a person they love becomes seriously ill. And she’s also changed by all she feels compelled to learn about the brain in the course of the book. She starts to look at other people with a neurological knowledge that she didn’t have when the book began. In some ways, it makes her more understanding and compassionate toward others. In other ways, it makes her more egotistical and less respectful. And we follow her as she changes from chapter to chapter. Sure, she probably becomes a little paranoid toward the end of the book. She sees brain damage wherever she looks, and since the plot unfolds through her eyes, readers may well begin to see brain damage everywhere around them too. I’ve thought half-jokingly that I might be able to measure the book’s success by how many family doctors start hating me because they’re being pestered by women who now think that their husbands may be genuinely sick in the head. What do you feel our moral responsibility is? And in what context do you feel that someone whose brain is altered is morally responsible for his or her actions? Oh, moral responsibility. That’s the question of free will. The world’s most intelligent thinkers have debated it for thousands of years. I have my own take on whether we have free will or not, but I actually prefer not to tell you what my position is. Let me explain. Regardless of what I might say, it would necessarily be a simplification of the book’s world. Writing a novel is a huge job. You should only undertake it if you can get some substantial pleasure out of it that compensates for all the toil. One thing that gives me great pleasure is the potential that I have as an author to express something that just can’t be expressed in any other form. And one of the ways an author can do this is to create a world in which diverse viewpoints interact and collide with one other. My own little opinion would seem dull and uninteresting in contrast to the totality of all the different approaches to the topic found in the novel. I’m delighted when people tell me that one of my novels seems more intelligent than I am. Then my efforts have succeeded, and I’ve created a complexity and richness that is greater than what you would experience if you met me. So the book’s answer to your question is more nuanced and authentic than anything I could ever say in conversation. What I loved most about You Disappear was the encroaching sense of dread in the book, the feeling that in a way, we've entered a funhouse world. That’s really great to hear. It is an entirely different world. And yet I checked everything I wrote with neuropsychologists, neurologists, and psychiatrists. It’s a strange and scary world – and one that is 100% based on fact. What's your writing life like? Do you have rituals? Anything that works is permitted. I have a girlfriend who’s studied comp lit. She understands what’s entailed in writing a novel, so she gives me lots of room to indulge myself in the writing process. If I get an idea at 3 in the morning, then I can get up and write as long as I wish, and sleep instead the next day. My writing governs a great deal of my life – and so it comes to govern much of hers too. I’m just grateful that she’s so accepting of what it demands. I love taking long walks with a pad of paper to write on. I also like lying down and dozing, getting ideas in a state of half dreaming. Sometimes, what’s called for is long hours of grinding away in front of the computer. Other times I might be struck by an idea while I’m out eating with friends. Then I’ll pretend that I have to go to the bathroom during dinner, while in reality I sit out there and write away on the notepad I always have with me. Anything’s permitted. I'm obsessing over my next novel. I have loads of ideas in my computer, but I don’t know yet which of them I should choose. Perhaps I’ll combine five of them into a single novel; perhaps I’ll twist one of them in some way that intrigues me. Or someday, an idea might hit that I’ll just know I can’t run away from. You might have asked if there were anything I’d like to know about you. And then over lunch, we could have discussed the terrors and great joys of the writing life. My own grammar-checker just happens to be my husband, who's an editor. But I saw advertisements for a new grammar checker called Grammerly and I thought I'd take it for a test spin, as well as interview the folks responsible for it, or actually just one, Nikolaus Baron. So is Grammarly worth it? I think it actually is. It doesn't take into account creative writing, but if you have an issue with lay and lie, or its and it's, it's certainly helpful. And thank you, Nikolaus, for talking to me. So, what made you create Grammarly? How is it different from other grammar programs? And what has been the response to it? Grammar rules can be confusing to many people and are constantly evolving. Grammarly was created to provide an easy way for students, professionals, job seekers, and English language learners to become better, more accurate English language writers and help them learn and understand the rules of grammar. Grammarly utilizes sophisticated algorithms and powerful cloud-based computers to identify and correct English spelling and grammar mistakes. Grammarly’s technology catches significantly more errors than competitors, while also offering unique features such as writing enhancement and citation suggestions. Grammarly can be accessed 24x7 from any computer via the Internet. Grammarly has more than 3 million registered users, and usage is doubling every year. It is also trusted by more than 250 educational and corporate clients. Moreover, Grammarly currently has more than ONE MILLION enthusiastic and engaged fans talking about grammar on its Facebook fan page. Does Grammarly still work with someone writing creatively? For example, novels often break grammatical rules, using sentence fragments, etc. Grammarly’s grammar checker is built around a powerful and ever-evolving algorithm, which is not designed to replace teachers or proofreaders but to provide students, professionals and advanced language learners with an automated, cost-effective, accurate and always available online tool to help improve their written English skills. Grammarly isn't intended for professional writers to achieve the next level of language mastery, or to judge artistic prose. Grammarly is meant to proofread mainstream text like student papers, cover letters, and proposals." Masterful and creative English writing sometimes triggers our alerts. There are limits to what modern technology can accomplish. What mistakes do writers most often make and how can Grammarly help them? What's up next for Grammarly and why? One of the most innovative products that Grammarly has introduced to market is the Grammarly® Plug-in for Microsoft® Office Software. This integrates Grammarly’s core grammar checking engine with native editing interfaces such as Microsoft® Word™ and Outlook®. As a result, writers may now incorporate Grammarly’s industry-leading spell, grammar and plagiarism checking technology into their Microsoft Office suite. Grammarly also has plug ins for Chrome and Firefox. We’re looking forward to integrating in the future other Web-based platforms and applications to help writers perfect their English, wherever they happen to be writing. Grammarly makes a meaningful impact in users’ lives; students get better grades, professionals accelerate their career progress, and language learners improve their written English. Grammarly saves users time in the writing process. Grammarly is licensed by leading colleges and universities. Grammarly was bootstrapped by Alex Shevchenko and Max Lytvyn, both English language learners, to 3 million members.